NAD launches VISO 1AP wireless speaker | What Hi-Fi? 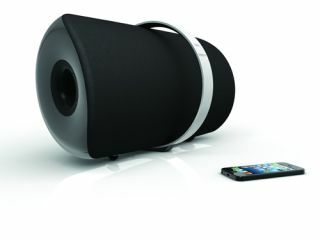 NAD has launched the VISO 1AP, a wireless AirPlay version of its popular iPod dock, the NAD VISO 1. The key upgrade to the new VISO 1AP is the removal of the dock and addition of Apple Airplay streaming. aptX Bluetooth also remains, allowing for music streaming from a wide range of compatible computers, smartphones and tablets. Greg Stidsen, Director of Technology and Product Planning at NAD, says that NAD "found many customers preferred using the VISO 1's wireless Bluetooth capability rather than docking their iPod". No surprise in light of the rapid growth in smartphone popularity since the VISO 1's launch back in January 2012. So, the docking feature has gone, replaced by a USB port that will be handy for charging iPhones and iPads. Elsewhere there is also a 24/96 digital optical input which allows users to connect digitial devices such as CD Players and set-top boxes. The control interface on the new VISO 1AP has been upgraded to use illuminated soft touch buttons instead of the mechanical buttons used on the VISO 1. A completely digital device, the AP model uses NAD's Direct Digital technology in an effort to remove noise and distortion. The acoustic design is provided by PSB Speakers and NAD claims there's enough power in the new VISO to fill a large room. The NAD VISO 1AP is available now in black and white and costs £499. Look out for the whathifi.com review soon.